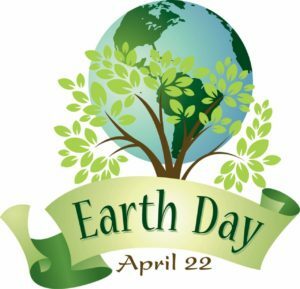 On Saturday, April 22nd, it will be the 47th Anniversary of Earth Day! Founded in 1970 as a day of education about environmental issues, Earth Day is now a globally celebrated holiday that is sometimes extended into Earth Week, a full seven days of events focused on green awareness. Earth Day was originally aimed at creating a mass environmental movement. It began as a “national teach-in on the environment” and was held on April 22 to maximize the number of students that could be reached on university campuses. RJ Schinner has many products that are sustainable and green choices. This post will touch on two lines. If you would like more information on other green choices, visit our Green Product Literature Page. There you will find sell sheets, brochures, and catalogs for several of RJ Schinner’s growing list of Green products to appeal to your environmentally-conscious customers. Did you know that every ton of recycled paper save about 17 trees? And, making recycled paper pulp, compared to generating pulp from trees and other plants, consumes less energy and water? The Simple Earth paper line is made entirely from recycled paper, creating a more environmentally friendly away-from-home solution. Simply put, we believe supporting the environment is important. More information on the Simple Earth line of paper and dispensers can be found on the Vendor Literature pages, or by clicking Here. Empress Earth is another option in environmentally friendly products. To date, it includes Bagasse products, PLA lined cups and food containers as well as bio-blend cutlery. The Empress Earth Bagasse Products utilize what would commonly be a waste product from sugar production (Bagasse) to make a wide variety of sustainable products. Sugarcane is a renewable plant in two ways. Sugarcane plants can be harvested more than once, and are a crop that grows after it is cut and planted again. Since sugarcane is a renewable and fast growing plant, the by-product (crushed sugarcane stalks, referred to as Bagasse) is a great raw material to use for making products such as bowls, plates, clam-shells and platters. Empress Earth Bagasse products are pressed in a high-heat, high-pressure process. They are 100% compostable, heat tolerant and can even be put in the microwave or the freezer. We understand the need for compostable products made from environmentally friendly raw resources. 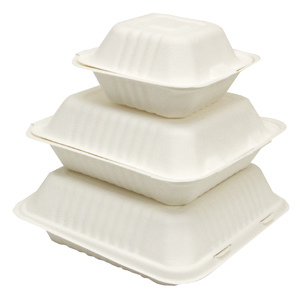 With this bagasse line, there are sure to be more sustainable options to fit all of your needs! EMPRESS EARTH PLA LINED PAPER CUPS & FOOD CONTAINERS are fully compostable and made of renewable reasources. PLA is a resin made from cornstarch, which is used as a lining in paper cups and containers as an impermeable liner. It is fully biodegradable, and can be commercially composted. PLA uses 65 percent less energy to produce than conventional oil-based plastics and generates 68 percent fewer greenhouse gasses and contains no toxins. EMPRESS EARTH PLA lined Hot Cups are available in multiple popular sizes, ranging from 8 to 20oz, with two lid options, while EMPRESS EARTH PLA lined Food Containers are available in 8 to 32 oz sizes. We understand the need for compostable products made from environmentally friendly resources. With this PLA lined paper products offering, there are sure to be more sustainable options to fit all of your needs! Previous story Spring Cleaning Stock Up!